Amanda is the Content Strategist on the Marketing team at JUST Capital. She is responsible for managing and creating content that communicates JUST’s research to a variety of audiences, including consumers, employees, corporations, and investors. 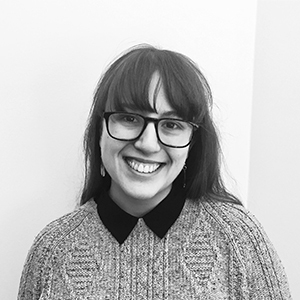 Prior to joining JUST Capital, Amanda worked for a number of arts nonprofits, including Jacob’s Pillow, The Williamstown Theatre Festival, and most recently as the SpaceFinder Lead for Fractured Atlas, a technology company that serves the arts community. Amanda is also a playwright, a member of EST/Youngblood, and the Literary Manager of Two Headed Rep. She graduated from Williams College and studied at the National Theatre Institute. More information about her artistic work can be found at amandackeating.com.